Lawmakers have been debating a state-wide smoking ban for years, but this is the first time that a bill has passed both the House and Senate. Supporters of the ban say the bill is purely a public health measure. Rep. Dan Severson, R-Sauk Rapids, a co-author of a bill, says eliminating second-hand smoke in bars and restaurants would protect both customers and workers. Severson said he wouldn't be offering the bill if smokers could keep their smoke away from non-smokers. "If they had something that they could keep within the confines of their body and not make other people breathe their smoke, I wouldn't be here today. But that's not the case," he said. The House bill allows for a few exemptions. First, establishments with more sales from alcohol than food are eligible to apply for a smoking-room exemption. If a local government approves the license, the bar would then have to provide a ventilated smoking room. Employees and minors would not be allowed to enter. Other exemptions would allow smoking in tobacco shops and in private clubs that have no employees. Some lawmakers wanted to loosen the ban even more for fear that it would hurt businesses. Rep. Tom Rukavina, DFL-Virginia, says he isn't buying the argument that a smoking ban will be harmless. He says small-town bar owners will be hurt and the public health won't be helped. "Nobody goes to a bar to get healthy, I don't know anybody that does. Correct me if I'm wrong. Unless you're there swallowing a beer, shooting a shot down and doing 10 push-ups on the floor, I don't think you're getting healthy," he said. The political debate didn't fall along party lines. Most of the bill's opponents represent smaller towns and border communities. Their efforts to exempt communities on state boundaries and exempt bars that create ventilated rooms also failed. 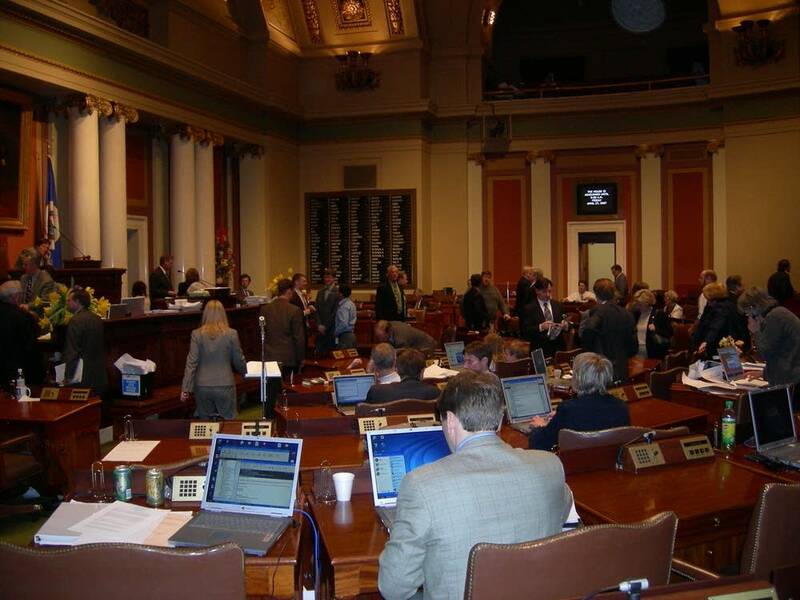 Supporters of the bill, including Rep. Tom Huntley, DFL-Duluth, repeatedly spoke against any exemptions. Huntley said Minnesota needs a uniform, statewide ban so there aren't a patchwork of city and county laws. "This is what the public wants," he said. Seventy percent of the public approve of outlawing smoking in the workplace and they're ahead of us. We need to follow their desires. And to the bartenders and the bar owners I will say, 'You know this is going to happen.'" But Huntley's arguments didn't fly with those who say the bill tramples the personal liberty of smokers. 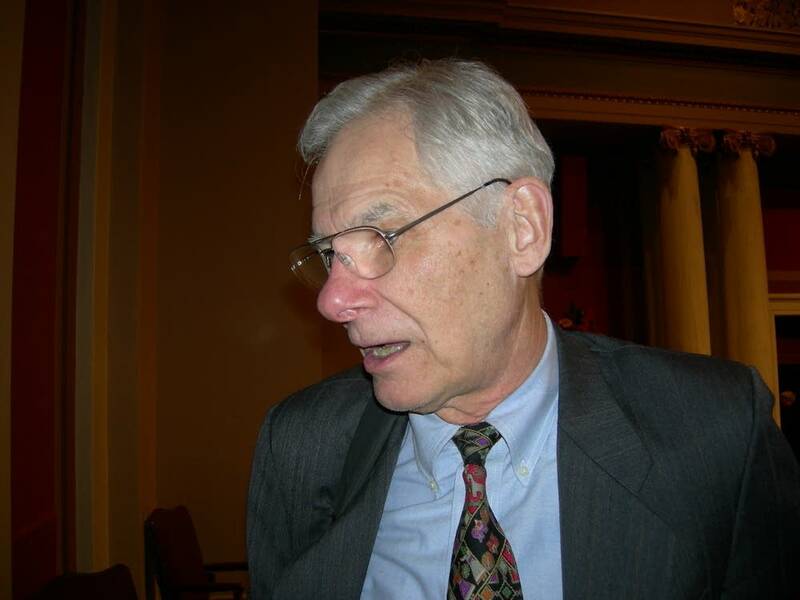 Rep. Dennis Ozment, R-Rosemount, suggested that if supporters of the bill truly want to protect public health, the legislation doesn't go far enough. "I see no reason why big brother should stop just at the restaurants or just places of entertainments," he said. "It seems to me that we should keep smoking out of the state of Minnesota... period." Ozment proposed an amendment that would ban smoking altogether, but it failed. The House passed the smoking ban in bars and restaurants 85-to-45. Under the proposal, the ban would start on January 1, 2009. A violation could lead to a $300 fine. Negotiators for the House and Senate now have to resolve differences between the measures that passed each chamber. The Senate bill bans smoking in all bars and restaurants but would allow establishments to build outdoor patios if local governments allow it. Gov. Pawlenty says he will sign the bill if it reaches his desk. Minnesota would be the nineteenth state to prohibit smoking in bars and restaurants.